Progressive Pupil’s New Leaders for Social Change Program is off to a great start this year thanks to a grant from the New School for Public Engagement’s Civic Engagement Grant Fund. Made possible by the generosity of Board of Governors member Judith Zarin and the vision of Dean David Scobey, the grant supports New School faculty civic engagement and public programs. The fund’s mission is to build a community of practice among faculty, staff and students that serves the public interest. Progressive Pupil is a project founded by Milano professor Dr. Robin J. Hayes. The organization’s core mission is to make Black studies for everybody through film and other media projects. The New Leaders for Social Change Program invites students from across the university who aspire to careers in non-profit management, documentary filmmaking and interactive design to commit to promoting diversity in those fields. Program participants receive mentorship and hands-on experience which compliment the interdisciplinary academic training they receive at The New School. 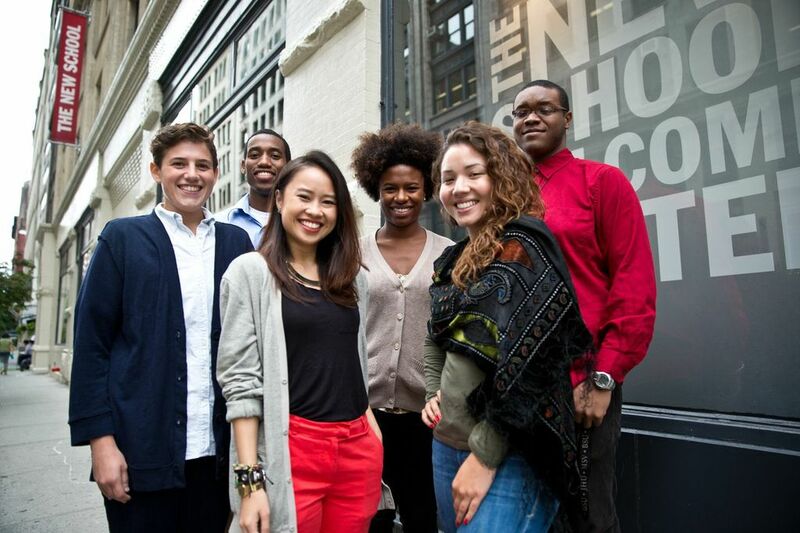 This 2013-2014 academic year, the program’s eight participants are pursuing Masters degrees in Urban Policy Analysis and Management, International Affairs, Non-Profit Management and Creative Writing. Justyn Richardson, a resident of the Bronx, remarks, “I wanted to work with Progressive Pupil because I knew I would be able to make a positive change, while gaining hands-on experience that relates to my program.” Richardson came to Progressive Pupil from Booz Allen Hamilton, a strategy and technology consulting firm in Washington DC. He assisted in creating the contract that helped pass President Obama’s Health Care Reform policy. Xiomara Pedraza, a native of East Harlem, states, “I wanted to work here because it gave me an opportunity to work with people who are passionate about social justice and African diaspora studies. Building awareness is part of making change and policy, which I study here at The New School.” Before Progressive Pupil, Pedraza worked at “A Place Called Home,” a non-profit organization based in Los Angeles. There, she served as coordinator for a youth after-school and summer program. Lynda Nguyen, a native of Washington DC, explains, “I wanted to take what I learned from past experiences, as well as my own story, and see how initiatives among Asian descendant communities are similar to the work that Progressive Pupil does in terms of Black studies.” Nguyen came to Progressive Pupil from Asian American LEAD, a non-profit organization based in DC that mentors and provides specialized after-school programs to low-income underrepresented Asian American youth. She worked in their development and communications department. All of our leaders exemplify the mission and values of Progressive Pupil, and this year, they hope to further meaningful social change, justice and knowledge of the African diaspora. This is awesome! As a New School student, I’m surprised I hadn’t heard about this before. I’m curious to learn more about what types of hands-on experience the Leaders for Social Change will have. Is this the first year of the Leadership program? The Leaders seem to have some really powerful experiences in a diversity of areas that will really allow them to learn so much from each other! Xiomara’s quote about how “building awareness is part of making change and policy” really resonated with me and really reinforced how important how important work like this is. I can’t wait to read updates about how their year is progressing and what the Leaders are learning!